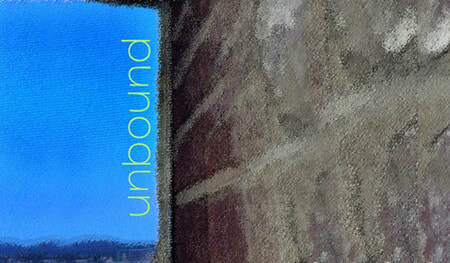 Unbound, a juried exhibition open to all current ALWCA members, will feature artworks that explore the ideas of breaking free and letting go of stories, ideas, and social constructs that are holding us back from realizing our true selves. This exhibition will focus mainly on 3-dimensional artworks, but the gallery space allows for some wall pieces with 3-dimensional qualities. All artists are encouraged to push their boundaries and explore the theme to its fullest. There comes a time in your life where you want to move past the labels that have been applied to you and your experience. Through this exhibition, we want to involve our audience in the adventure of breaking through those barriers, laying down the stories, and deconstructing labels. Join us in exploring what life would be like unconfined, unrestrained and Unbound. in the Third Floor East Gallery at Lowe Mill ARTS & Entertainment, located at 2211 Seminole Drive, Huntsville, AL 35805. The Art After-Hours opening reception will be Friday, April 26, 2019, from 6-8 pm. Artists are encouraged to attend the reception. Maria Spies will be our juror for this exhibition. She is a long-time potter living and working in Silverhill, Alabama. Award-winning ceramic artist and nationally recognized instructor Maria is the director of the ceramic arts program at the Eastern Shore Art Center. An independent studio potter since 1973, Spies has been an instructor at ESAC since 2008, and has taught and managed ceramics programs in Dallas, Texas; Seattle, Washington; and Chester Springs, Pennsylvania. Her work is represented in many galleries throughout the country, as well as in private collections and corporate offices. This exhibition is open to all members of ALWCA in good standing. Membership in ALWCA is open to all women artists and is required to have your work considered for or juried into this exhibit. Limit three (3) original artworks in any media, style or technique that responds to the theme of the exhibit — Unbound — described at the top of this page. Artwork must have been completed between 2016 and 2019. Wall-installed works may not exceed 30 lbs. ALL wall-installed works must hang from standard picture hanging hardware and be ready for hanging. Size limits: Final installation size on all 2D wall-displayed/hung work not to exceed 3’ (36”) HIGH/TALL or 2’ (24”) WIDE, INCLUDING frame. Works on canvas may be gallery-wrapped, strip-framed or framed. No unstretched canvas. No loose plexi that is clipped or nailed to wall. NO ceiling-installed work will be accepted, this includes installation works. Artist must provide all equipment necessary to present video or artwork requiring electricity, including cords, adapters, DVD player, monitor (minimum 9"), etc. Larger sculptures, oversized 2D work or installation works must be installed by artist under direction of ALWCA and/or Lowe Mill A&E. We are only able to exhibit pedestal-displayed or wall-hung sculpture. Lowe Mill A&E has available a limited number of standard sized pedestals for display of 3D work. If your 3D artwork is odd-sized, excessively heavy, or requires a very specific-sized pedestal, plan on providing that pedestal or platform (that sits at least 18" up off of the ground) yourself, please. 3D works that are extremely fragile, very small, have a very small bottom/base, are unstable, or do not sit flat on a pedestal will not be considered. Judging is done by JPEGs online only. Limit 3 artworks. Submit 1-2 images per artwork: 1 full view is required and EITHER 1 detail OR 1 alternate view. IMPORTANT: IF you submit more than 2 images per artwork, the Jurors will NOT be shown your additional images. Any more than 2 images per artwork is not permitted and all additional images will be moved to the "withdrawn" category. NOTE: Multi-paneled artworks count as 1 artwork, as long as they are presented as 1 artwork and the total size of the artwork does not exceed our size limit rules. An artwork that is a diptych (2 panels) = 1 artwork; a triptych (3 panels) = 1 artwork, and so on. Please photograph the overall artwork and be sure to only include 1 detail OR 1 alternate view. if you submit images of all 3 panels and a full view of your triptych, you will have exceeded your image limit. Please photograph your 2D work BEFORE you have it professionally framed. If the only image you have of your artwork is of the work framed, please use image editing software to crop the frame out of the image. Your artwork is what will be judged, not the frame.